I’ve gotten to the point where I think every minute of The Good Wife is sublime, so maybe I’m not the best pinch-hitter for David Sims tonight. 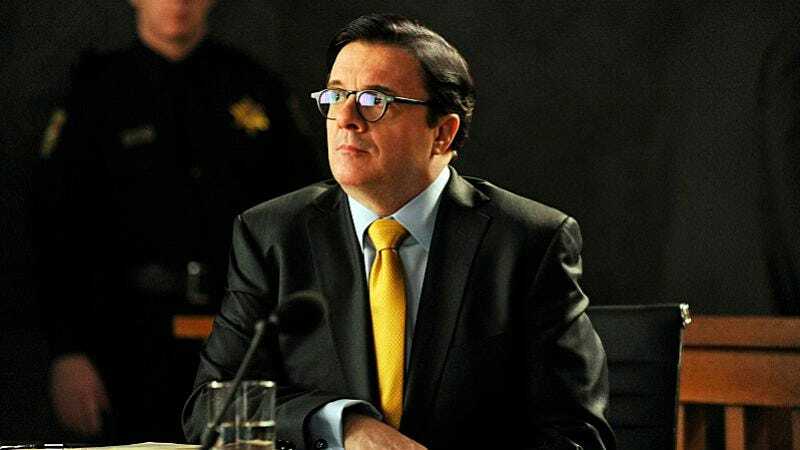 But “The Next Week” is a lovely, sharp episode of the series, combining the show’s signature patience with plotting with its equally signature bluntness. There isn’t a lot of tolerance for beating around the bush with anyone’s interpersonal relationships, and Alicia Florrick’s cluelessness about her own feelings doesn’t mean that other people can’t see right through them. I’m always happy to see Owen, but I was especially happy to see him this week, bumping into Will on-campus during a case and then providing an unexpected vector of truth for Will. It interests me that Will even tells Owen that Alicia’s left the firm; there’s no need to share that information, because he’s got the information from Owen he needs. But Will’s still nursing his sense of betrayal, and though he is emotionally impulsive, he’s primarily emotional. He wants to talk it out. As brutal and honestly vicious as Will can be, he’s easy to love because he does feel so strongly. And that’s Owen’s point, anyway: Alicia was afraid of falling in love with Will, so she moved against him. Which is exactly what we saw in last season’s finale. Alicia’s logic is twisted, and she keeps herself in the dark as much as anyone else. Her manipulation and plotting might go against David Lee or Diane Lockhart, but at the end of the day, she somehow just manages to stymie herself. The case this week is a little complicated. For one thing, there are two. First, the Gopniks, the prospective adoptive parents from “A Precious Commodity,” return through their lawyer, played by the handsome Christian Borle. Someone at Lockhart Gardner tried to bribe the Chippewa nation into making the adoption go forward, and Alicia’s called in to testify. There’s a lot of complication around the mechanics of who exactly did what, but the case mostly serves to make the internecine politics of the firms come into a harsh and unflattering light. In the climax, one of the partners at Florrick/Agos frames Alicia with the suit, leaving her liable for $6 million and sending the fledgling firm into a panic. Anthony, meanwhile (that’s the guy who did the lying), saunters into a partnership at Lockhart/Gardner. It’s despicable, but to be honest, everyone’s pretty despicable in this episode. Alicia essentially asks for a bribe before she’ll testify, and David Lee is poisonous and slimy in all things. The second features guest-star Hunter Parrish, and interestingly, it doesn’t resolve. Jeffrey is charged with a murder he swears up and down he never did; Kalinda and Will go to work on it, but nothing comes up. He rejects a plea bargain, and Geneva Pine is on hand to make sure Will feels really bad about that. I like Pine, and I like Jeffrey, and I like that Will cares about someone he’s working with. But as yet, the rest of this story remains to be seen. The rest of this episode is truly about the look on Alicia’s face as she walks back into Lockhart/Gardner, surveying the physical affront she seems to create in people, watching them recoil from her presence as their faces contort to something like fear. Alicia is enjoying it. I wasn’t expecting that. She doesn’t like facing Will, and their moment of eye contact is perfect in its meaningful, heavy silence—but everyone else? She doesn’t really care. Alicia’s comfortable when she’s scrapping with everyone at this point. She doesn’t really understand what it means to be on anyone’s team. She has left behind the ability to trust anyone else besides her children—every relationship in her life is now a power struggle. Peter took that from her, I think. 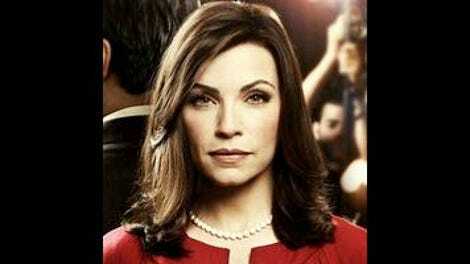 The Good Wife now endeavors to show us how this haunts her, the unspoken betrayal that still looms in her mind. The last time I wrote about this show was in last season’s “Red Team, Blue Team,” which in many ways anticipated what would happen in this season, by pitting Will and Diane against Alicia and Cary. That ended with Alicia becoming manipulative and calculating, and it didn’t look good. Diane asks her, in “The Next Week,” if Alicia’s always been this way and Diane never noticed. I think Alicia has always been this way, but to be fair, this is also the only way she’s learned to survive. She has to play an ambitious game to save the most important commodity—her heart. This episode is aces. This season is aces. The Good Wife is aces. That’s it. I do find it funny that Robert and Michelle King are always pulling out a tech subplot to amuse us with. This week: “ratting,” as done by Zach and Grace’s classmate, Stiles. There is punching. I was very proud of Zach, getting into a fight and winning. And Grace is maturing into a girl who can handle these things on her own, which is interesting to watch. Not enough Kalinda doing stuff for Kalinda plotlines. After her failed marriage plot, the show has kept her doing strictly procedural things, but she is wasted. This little exchange? “Who are you?” [enigmatic smile] “Kalinda.” As if that explains everything. Of course, it does explain everything. “Can we get started, or did you both want to play cards?” David Lee, I love you and hate you. Thanks again to Sims for letting me take this one. It’s always fun to drop in on this fantastic show.